Blue Air One Heating and Cooling offers convenient financing through a partnership with Synchrony Financial. 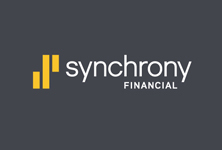 Synchrony Financial can give you the peace of mind you can count on! With a little advance planning and financing in hand, your home project dreams can come true. Don’t delay or compromise. Apply now and get what you really want today. We will walk you through all the options to help you make the right decision. We also accept major forms of payment including Visa and MasterCard, cash and checks. Call us today at 1-908-275-3953 if you have any questions or to schedule an appointment! You can count on us for reliable services. We provide installation, repair, replacement, maintenance & financing for air conditioners, furnaces, boilers, hot water heaters, filters across Linden, Clark, Westfield, Scotch Plains, Fanwood, NJ.